Remember how I said that I wanted to write about video game stories? It may not seem like Tetris is the kind of game that I would gravitate towards, seeing as how there isn’t much of an arc to the stories of S-shape, I-shape, and L-shape. But sometimes the most compelling story isn’t the one in the game itself. It’s in the creation of the game, and the player’s experience of playing the game. Today I’d like to talk about two dreamers, who hoped big, got beaten down, but rose up, and eventually triumphed. The first is Alexey Pajitnov, the creator of Tetris, and the other is me. The origin story of Pajitnov’s incredible invention has become the stuff of legend. After a hard day at the Academy of Science of the USSR, in their Computer Center in Moscow where Pajitnov worked, the twenty-eight-year-old programmer was fiddling around with an idea for a computer game. Inspired by the polyominoes in popular wood block and plastic puzzles of his youth, he programmed the game on an Elektronika 60, which at the time had a blazing fast 8 kilobytes of RAM. The idea was so simple: take a few basic geometric shapes. And the execution was so pure: have the shapes drop from the top of the screen and accumulate on the ground while you try to fit them together. That’s it. The game’s purity is almost divine, The way that ancient games like Chess and Go are pure. The way that water is pure, and circles. In its 100th issue, Electronic Gaming Monthly listed Tetris as “the greatest video game of all time.” Now, you know my vote, but Tetris might be in my top three. It is in most people’s. Why? For the same reasons The Jazz Singer gets on the American Film Institute’s list of the greatest films of all time. It’s in the simplicity. 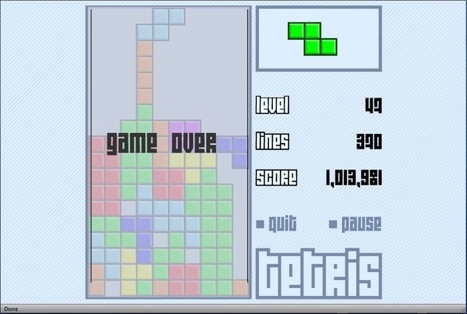 Playing Tetris is like playing catch. The structure is rigid and geometric, but its feeling is smooth and organic. And the game is historic. There have been claims that over 100 million copies have sold to cell phones alone. Its inclusion in the original handheld video game bundle ensured that it would be one of, if not the, most widely played video game in history. So you know what happened next, right? Pajitnov licensed his game to all the biggest names in electronic gaming, cashed in for hundreds of millions of dollars, bought a medium-sized town outside Moscow, and set himself up as czar toymaker, where he could design new puzzle games in peace. You see, as an employee of the Russian government, a vast majority of what Pajitnov earned from his creation went to the USSR. Keep in mind, this was 1984, near the end of the Cold War, when movies like Red Dawn and Mad Max weren’t absurd fantasies, but totally plausible realities that could be just around the corner. No video game from the USSR had ever been licensed to the United States. Remember, in America, you own the rights to your game; in Mother Russia, your game owns the rights to YOU! As the popularity of Tetris exploded across Europe, first in Russia and then later in Hungary, the game was widely ported. It came to the attention of the British software company Andromeda, who attempted to secure the rights to the game, but when those attempts ended in failure, the company didn’t let a little thing like legality stop them from selling the rights to another company anyway. Before this sale was even finalized, the company that wanted to buy the rights to Tetris from the British company that had maybe officially bought the rights from a Hungarian company that had ported Pajitnov’s game, had already released an IBM PC version of Tetris in the United States. This craziness persisted until 1989, when a Dutch games publisher named Henk Rogers discovered Tetris, fell madly in love, and knew exactly what to do with the humble block puzzle game. He approached the video game giant Nintendo, which at the time was on the verge of releasing their groundbreaking handheld console, the Game Boy. (Now you’re playing with POWER!) Nintendo wanted to package a Mario game with the new device, but Rogers had a better idea – a casual game, with none of the fluff that usually turned off people who were not already video game players. 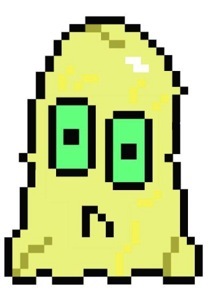 It was the giant turtles, zany colors, and fireballs that had led grown ups to dismiss video games as kids stuff. Tetris was the same to everyone who used it. The blocks were colorless, non-gendered, and ageless. In one stroke, way back in 1989, Henk Rogers invented casual gaming. But there is a happy ending. 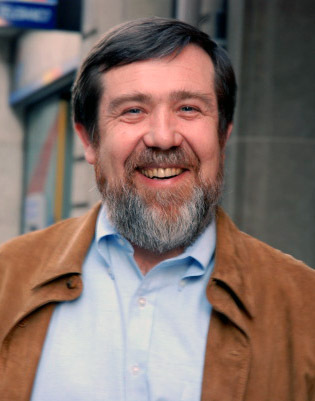 Alexey Pajitnov regained the rights to Tetris in 1996. He founded The Tetris Company with none other than Henk Rogers. Now The Tetris Company licenses the game to companies and sues people who don’t pay. At long last Pajitnov is getting the money and attention that he deserves. And here’s a little food for thought, not to put a downer at the end of a great story, but Pajitnov had two co-creators on Tetris. It’s listed as created by Alexey Pajitnov with Dmitry Pavlovsky, and Vadim Gerasimov created the original port of the game from the Elektronika 60 to the IBM PC. But who has ever heard of Dmitry Pavlovsky and Vadim Gerasimov? In many ways, they are Alexey’s Alexeys. My introduction to the perfect puzzle game came in 1989, when my family acquired the much coveted handheld Nintendo system. Henk Rogers called it. Tetris was the only game my father deemed worth playing, although two years later he would cave and agree to play a few games of Joe Montana Football for the Sega Genesis with us kids. Tetris became a source of competition for all of us – and my father took great pride in holding the high score. Many family road trips in those days were propelled by the infectious music. I tried to compete, but I could never quite keep up. I would suffer the same fate decades later when I recently downloaded the amazing game that will “punch your brain in the face,” Puzzlejuice. It’s basically Tetris and Boggle with power ups, color matching, and other assorted zaniness. I downloaded it because Day. Also, I wanted to be awesome. And then my wife, casual gamer that she is, got her hands on it… and… yeah. Think of the highest score you’ve ever gotten in a video game. Now multiply that by 100,000. That’s her high score. This entry was posted in 8-bit, computer, game, Game Boy, handheld, NES and tagged Alexey Pajitnov, Andromeda, Boggle, Chess, Dmitry Pavlovsky, Electronic Gaming Monthly, Game Boy, Go, Henk Rogers, Jazz Singer, Joe Montana Football, Mad Max, memes, Puzzlejuice, Red Dawn, Shadow of the Colossus, Super Mario Land, Teenage Mutant Ninja Turtles, Tetris, Tetris Effect, Vadim Gerasimov by Matt. Bookmark the permalink. Matt London is a writer who has no fewer than three escape plans should the zombies take Manhattan.